The 69th annual Miami International Boat Show was not without its challenges, but organizers and exhibitors alike say they were largely pleased with the results, as the industry slowly climbs out of the recession. "The biggest plus that we all were excited about was the consumers that were there were not crying the blues about the economy, not worrying about their jobs," says Denny Warren, vice president of sales and marketing for Sailfish Boats, of Cairo, Ga. "The consumers were upbeat. There were buyers there." Warren says his sales at the show - 18 units - were up 63 percent from last year. And that, he says, was despite deciding to exhibit just eight days before move-in. "It was just a breath of fresh air to see the consumer confidence as high as it was," he says. 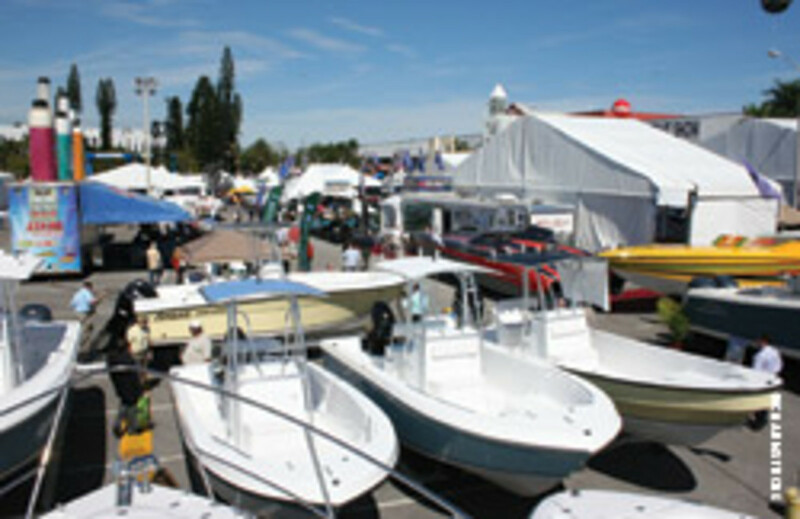 Attendance at this year&apos;s show was 91,415, down 5.5 percent from 2009, according to figures from the National Marine Manufacturers Association. Organizers had hoped for attendance to pass 100,000, but the dip was much better than the 26 percent drop between the 2008 and 2009 shows. "It was not unexpected," says show manager Cathy Rick-Joule. "What was unexpected was the weather. That hurt us absolutely." Snowstorms pummeled the Northeast and Mid-Atlantic regions the week of the Feb. 11-15 show, leading to cancelled flights and stranded show-goers. 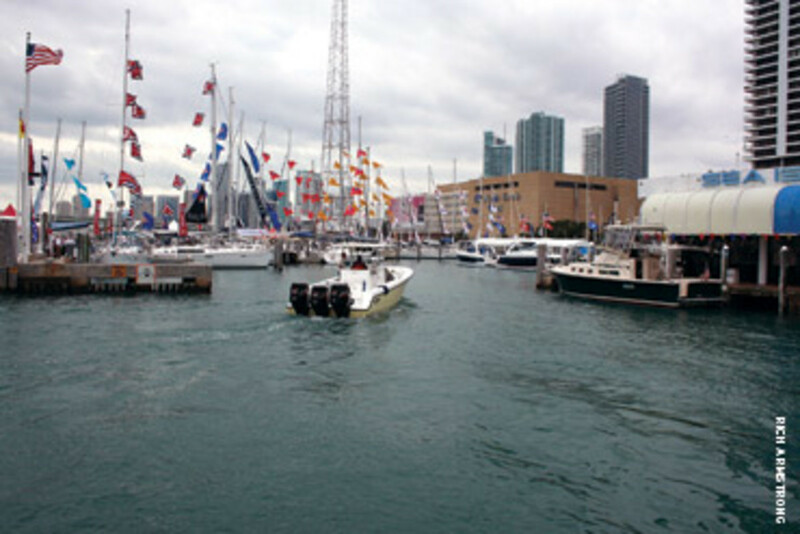 Other challenges included last-minute exhibitors at Strictly Sail Miami, which meant organizers had to put about 20 boats at Bayside. 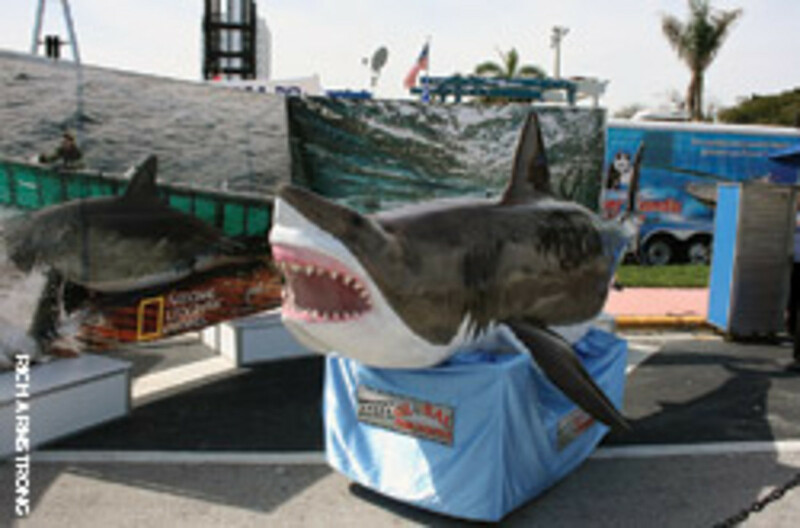 The plan had been to combine Strictly Sail with the in-water portion of the show at Sea Isle Marina & Yachting Center. Exhibitors were "coming out of the woodwork" at the last minute, Rick-Joule says, and others couldn&apos;t get their boats under the bridge near the marina and yachting center. Strictly Sail manager Kevin Murphy says it was not an ideal situation, but exhibitors did sell boats. Bayside, he says, was serviced with a water taxi and van, and a 50-person bus was added to accommodate people who wanted to visit that area. "All in all, given what we were given, the overall consensus was pretty positive," Murphy says. Rick-Joule says adding a "gate" at Sea Isle was a plus with exhibitors. "For the most part, I&apos;m getting very positive responses to the fact that we added a gate to that location," she says. "It had been wide open [until this year]. There was no fee to get in. What I&apos;m hearing from quite a few of our powerboat customers is that they really think that helped with the quality of the customer, because certainly a paid gate is always a qualifier." About 2,000 exhibitors took part in the show, down about 200 from 2009. However, the drop in numbers allowed some companies to exhibit in the Miami Beach Convention Center for the first time, while others were able to get larger or more visible spaces. "We were able to say yes to an awful lot of customers that have been loyal and patient and waiting and waiting to get what they really want out of the show, as far as space goes," Rick-Joule says. She says exhibit space inside and outside the convention center was down about 25 percent in square footage this year. The difference wasn&apos;t too noticeable at the convention center site, she says. At Sea Isle Marina, however, organizers didn&apos;t need to build the two full temporary piers that normally serve about 100 boats. Bill Yeargin, president and CEO of Orlando, Fla.-based Correct Craft, says that while attendance seemed down, his company&apos;s booth traffic was good. He expects sales from the show to be better than last year. Dave Walsh, director of marketing at Holland, Mich.-based Tiara Yachts, says his company ended up with one of the largest spaces in the convention center due to manufacturers pulling out or scaling back. "There&apos;s a good side and a bad side to that," he says. "I think that got us particularly noticed and I think ultimately helped us with regard to some of the results we had, but at the same time it becomes a traffic challenge." Total unit sales were not immediately available, though Walsh says Tiara did better than last year. "We feel like we did, based on what we&apos;re hearing from our peers, as well or better than anyone out there," he says. Propulsion and transmission manufacturer ZF Marine had mixed results coming out of the show. "On the retail side, we think this year&apos;s show was felt to be somewhat of a disappointment," says president and general manager Wolfgang Schmid. "The industry was cautiously optimistic going into the show, based on how well the Fort Lauderdale show had gone. Unfortunately, the anticipated results just weren&apos;t there." On the industry side, Schmid says, ZF had a pretty good show. "The conversations with our [OEM] customers were very positive," he says. "The number of discussions with our customers were certainly up, and the quality of those discussions was excellent. There seems to be a renewed commitment to technology by boatbuilders." Many accessories exhibitors reported increases in sales, contacts and traffic, Rick-Joule notes. Ultimate Marine Panels & Trailers, of Miami, says it gave out at least 1,000 brochures, and Sunglass World of Tampa Bay reports sales up 30 percent from 2009. Frank Marciano, president of Pompano Beach, Fla.-based equipment supplier Dometic Marine, also reports positive results. "I feel we are all in a better place today than we were this time last year," he says. "Traffic to the booths was strong ... from trade and buyers alike." Organizers of the Miami Yacht & Brokerage Show, which runs concurrently with the boat show, estimate an 11 percent drop in attendance. However, the drop had been budgeted for, according to Efrem "Skip" Zimbalist III, CEO of Show Management, which produces the Yacht & Brokerage Show. There is no admission charge or tickets for the show, so a precise count was unavailable (see companion story). "I think the combination of airport closures in the Northeast, where a lot of our attendees come from, and cold weather in the Southeast made that a tough proposition," Zimbalist says. "I am happy with the results of sales in the middle of our market, in the 40- to 70-foot range," he says. "I think the superyacht market is still very tough, but distressed inventory is clearing out, and I expect sales to pick up in the fall." Mike Joyce, CEO of Fort Lauderdale-based Hargrave Custom Yachts, says the show was a success for his company, whose models range from 70 to 130 feet. Hargrave says he had one signed and accepted purchase offer during the show and was expecting two more offers to be accepted after the show. "Considering every yacht broker I know well told me that they had multiple A-list clients who did not make it to the show because of severe weather across the country, I think we did surprisingly well under the circumstances," Joyce says. Here&apos;s a look at some of some of the boats and gear introduced at this year&apos;s Miami International Boat Show. The IPS-powered Albemarle 360 is the first pod-drive boat from the North Carolina builder. With twin 435-hp Volvo Penta IPS600s, the 360 burns about 27 gph at 26 knots, which is around 1 nautical mile per gallon, the company says. With Caterpillar C9 inboards (575 hp), the boat gets 0.675 nmpg at 27 knots. World Cat introduced a new 320 center console catamaran, which the company says has the beam, stability and ride of the 330 combined with the styling and family seating of the 290. The new boat is resin-infused, and the builder chemically bonds the fiberglass superstructure, hull and deck. The result is a stronger, faster and lighter boat with greater fuel efficiency and top-end speed, according to the company. Sea Fox showed its new 22-foot Bay Fox, a CAD-designed, foam-cored, stepped hull geared toward near-shore fishing and fuel-efficient operation. Mercury also introduced a Hybrid Concept Vessel, a large express cruiser with diesel and electric power in a Zeus configuration. "Hybrid propulsion is a no-brainer when you look at automotive or industrial vehicles or buses," says Dan Balough, Mercury chief program engineer for hybrid and electrical systems. "A few years ago we recognized the trend and we started to dabble and see if it was worthwhile for recreational marine." Mercury Marine president Mark Schwabero recognized the importance of presenting new products and technology at a boat show press event. "In this tough economy, we were working hard to continue our creativity with our product," says Schwabero. "Technology and performance are still the lifeblood of Mercury." Honda and Suzuki introduced new 4-stroke outboards at the show. Suzuki unveiled 40- and 50-hp models, while Honda debuted a 115-hp engine. Both manufacturers say these next-generation outboards are more fuel-efficient, lighter and better performers than their predecessors. "Just because you have a 40 or a 50 doesn&apos;t mean you can&apos;t have the best motor around," says Suzuki marketing director Larry Vandiver. "The whole idea is to let people know you&apos;re OK, but also so you are assured your unit is working through the whole system," says ACR&apos;s Ed Morris. French EPIRB manufacturer Kannad Marine, which British safety gear manufacturer McMurdo Ltd. bought last November, introduced its 406 Safelink EPIRB with user-replaceable batteries, which McMurdo president Jeremy Harrison says should cut the cost of servicing the beacon every five or six years by about half. "There&apos;s nothing like this on the market today," says Harrison. Spot, manufacturer of the inexpensive messaging device that can send an emergency alert or preprogrammed non-emergency message to a private ground station via satellite, announced a week after the show that it is replacing all Satellite GPS Messenger (Spot 2) devices it has sold since their introduction in October. The company voluntarily called for the return of early versions because they "may not meet battery and messaging operating specifications." Valence Technology, manufacturer of high-performance lithium iron magnesium phosphate batteries, announced a $45 million deal to supply batteries to Beneteau Group over the next five years, as Beneteau moves forward with plans to develop hybrid power systems for both its recreational and commercial boats. Beneteau has partnered with propulsion and transmission manufacturer ZF Marine in outfitting a test hybrid-electric sailboat. Jose Miguel Diaz Escrich, commodore of the Hemingway Yacht Club near Havana and new director of Cuba&apos;s Marlin Group, told a gathering hosted by the International Superyacht Society that the island nation is building a 1,200-slip marina as well as other facilities in anticipation of a change in the U.S. travel ban. Seventy percent of Cuba&apos;s coastal waters are "sailable by vessels over 26 feet," Escrich says, wooing the megayacht sector. Cuba has 15 marinas and around 800 slips, not nearly enough to accommodate the flood of boats expected if the island opens to U.S. visitors. Escrich anticipates a surge in interest in cruising Cuba among charterers and megayacht owners. The island has a few megayacht slips, but the 1,200-slip marina planned for Varadero on the northwest coast will have 20 big-yacht slips. Schiffer says he has built 40-footers with quad-350s for enforcement agencies operating in the Straits of Florida, but the "days of paying $40 an hour [for fuel] are gone," he says. "Even government agencies are looking for more miserly hull-and-engine packages in this era of rising fuel costs and trimmed-back budgets." Beginning in 2014, satellite communications company Iridium will start replacing its constellation with 60 new-generation satellites so it can continue to deliver voice and data services from pole to pole, says Ted O&apos;Brien, Iridium general manager for the Americas. The new satellites will have the capability to handle much higher data rates and two-way digital communication with PLBs, which he believes is a business poised for growth. Iridium&apos;s customer base numbers are "350,000 and growing," O&apos;Brien says. The company recently has come out with a satellite phone that is the smallest he knows of - 5.5 inches long, 2 inches wide, a little more than 1 inch deep. It weighs just 9.25 ounces. O&apos;Brien says his son took a 120-mile kayak trip through the Everglades and called home every night to say he was OK. "There&apos;s no other way to do it [except by satellite phone]," he says. The OEM market will be the first to benefit because the central control unit enables digital switching, monitoring and control capabilities in the Simrad NSE multifunction display. This eliminates considerable wiring, saving weight and simplifying installation and repairs, as well as saving space at the helm, according to the company. The consumer benefits because it enables Simrad to integrate its NSE with autopilot control, CZone digital switching, monitoring and control. A master switch fob shuts down the whole electrical system with one button push. Lowrance&apos;s new StructureScan sonar has also been integrated. 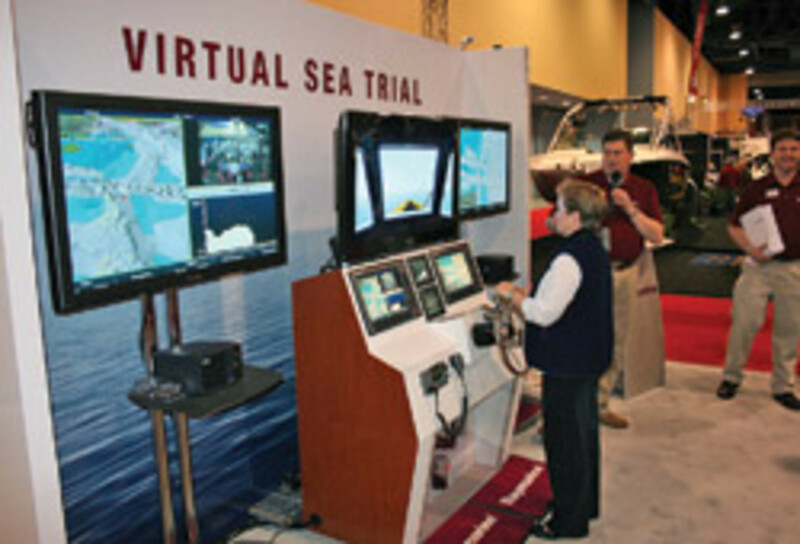 Raymarine introduced a "fully functional" virtual sea trial kiosk - a full helm station with a video game screen. The impetus is to get more people trying its E-Series software than it was able to with sea trials. FLIR&apos;s First Mate XP and XP+ feature improved 320-by-240 thermal image resolution, improved environmental survivability ratings and still image capture capability. FLIR also announced the release of a single-payload variant of its M-Series camera, providing 50 percent better range performance over earlier single-payload thermal night vision cameras. Marine satellite antenna manufacturer Intellian announced the availability of three new VSAT communications antennas - the v130, v110 and v60. Designed for commercial and recreational use, the new antennas provide uninterrupted broadband connectivity for worldwide on- demand communications. 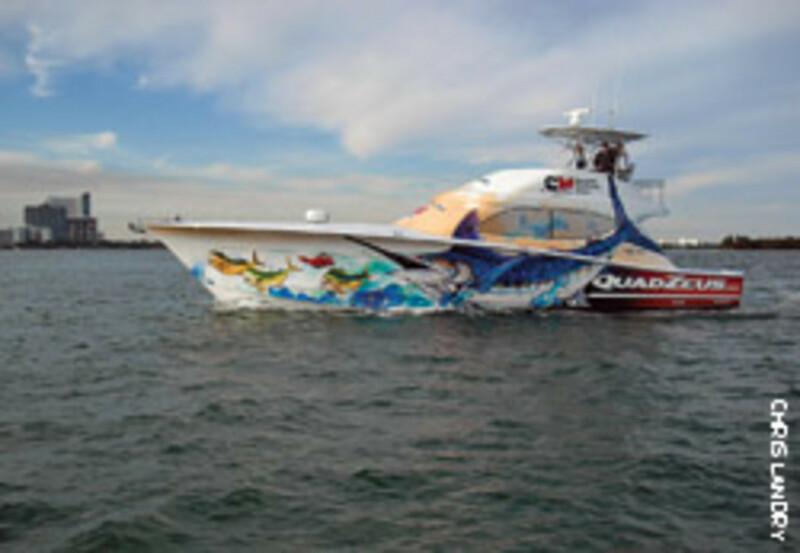 Vicem introduced the 54 IPS, its first boat with pod drive propulsion, and the 57 Sportfish made its U.S. debut. The Turkish boatbuilder is ramping up its U.S. presence - about 50 percent of its market is here - expanding its brokerage, moving to a new U.S. headquarters and adding a sales office to its Lauderdale service site. Vicem also hired a couple of former Ferretti people to manage sales and marketing. The builder also is expanding into bigger boats, with three - all Frank Mulder designs - in production. A 150-footer will be the first launched. Grand Banks appointed Galati Yachts and HMY as dealers. "We wanted to create a synergy of well-run organizations that do things right," says David Hensel, director of brand and marketing. All three were side-by-side in a display that allowed customers to move directly from one company to the next. Galati had its largest display ever (16 boats), according to general manager Darren Plymale, and reported deposits and "good leads" on several boats. Among accessories, Austrian Peter Leeuwenburgh is recruiting U.S. dealers for his Turbo Swing. It&apos;s a stainless-steel water sports tow bar that mounts to the outboard&apos;s bracket and allows the tow rope to slide from side to side so weight remains balanced for better helm control, tracking, stability and response. Hickory Springs Marine Group introduced its SeaComfort mattress that uses a polyurethane foam derived from soybeans, rather than petrochemicals, at about the same price.